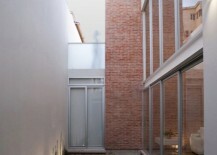 In theater, the term “breaking the fourth wall” refers to when a character ignores the invisible barrier between the stage and the audience to address showgoers directly, creating a whole new world of possibilities for the storyline. 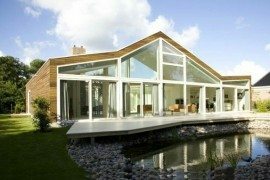 In architecture, opening up an opaque wall and replacing it with retractable glass can have much the same effect, especially when an outdoor oasis lies in wait on the other side. 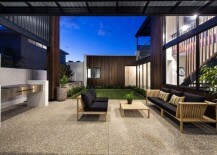 From a sprawling tropical paradise to a perfectly petite enclosed garden, read on for eight airy homes that expand onto gorgeous courtyards. 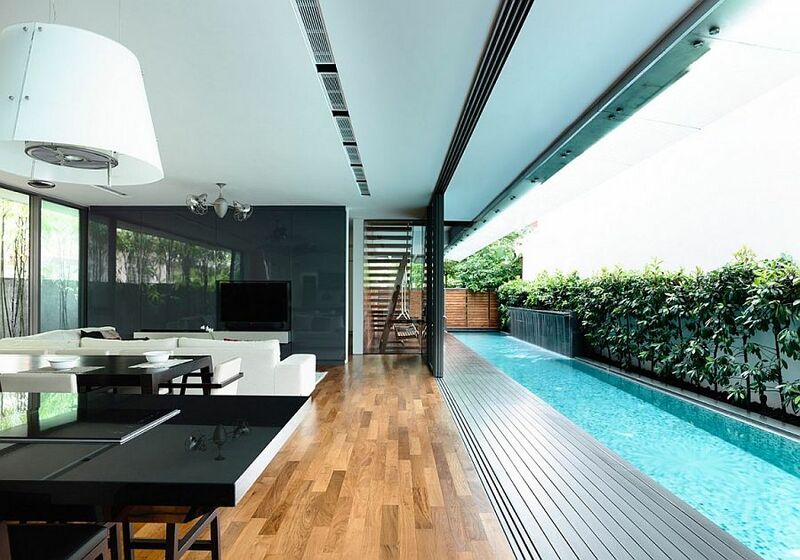 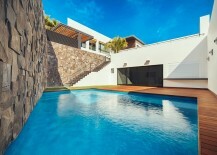 This efficiently laid-out Singaporean house is a swimmer’s paradise with its elongated family room located just a few feet from a sparkling lap pool. 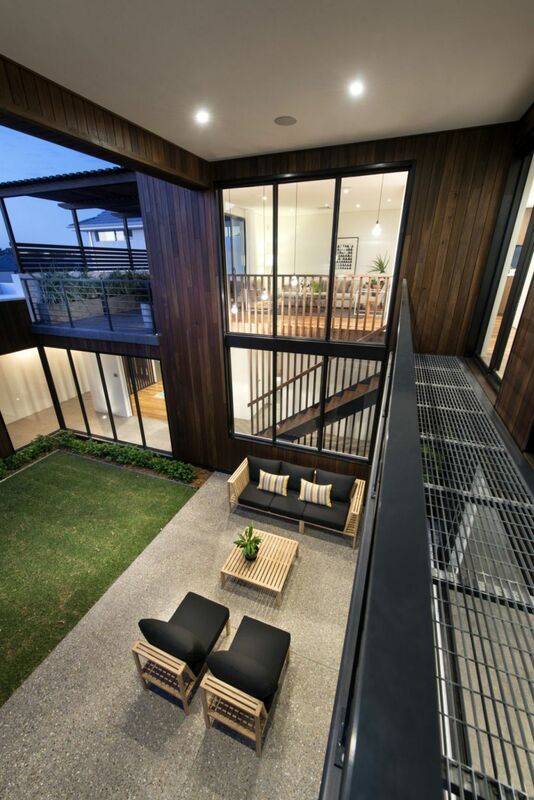 The doors leading out to the deck area can be closed, but we’re not sure why you would ever want to anyway. 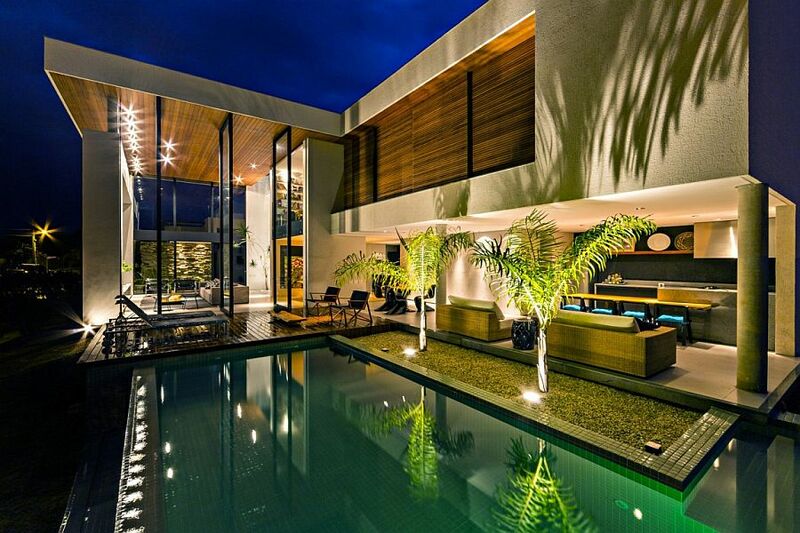 Can’t you just imagine how incredible it would be to host a pool party at this lush Brazilian abode? 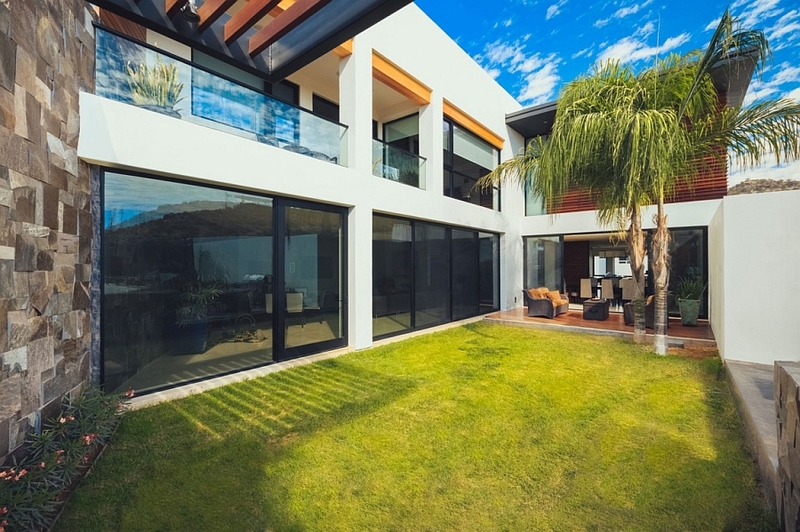 The home, called the X11 Residence, features a convenient L-shaped design that wraps around its playful patio area and makes it accessible from multiple parts of the floorplan. 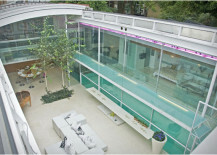 Now here’s a unique home that really gives new meaning to the term “pool house.” Located in the Hampstead Village area of London, this jaw-dropping residence showcases its pool by enclosing it within a glass room as a sort of human aquarium. 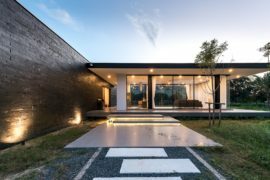 Called the Warehaus, this ultra-modern Australian home allows the owners to step right out onto a central, over-sized oasis. 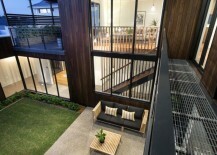 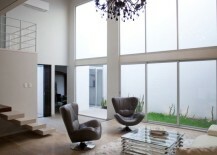 A dramatic, retractable wall of glass is all that stands between the living room and the lovely covered terrace. 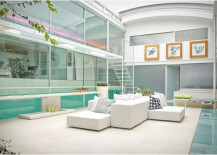 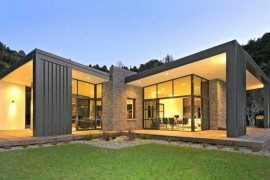 Having just one floor-to-ceiling glass wall in a home is already quite a luxury, but how about five? 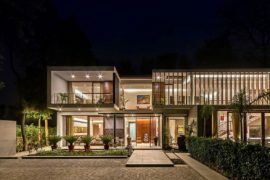 This Mexican mansion, designed by Architects Imativa, spoils its residents with multiple indoor/outdoor spaces, an expansive wooden deck, a pool, and glass banisters that echo the rest of the building’s sleek aesthetic. 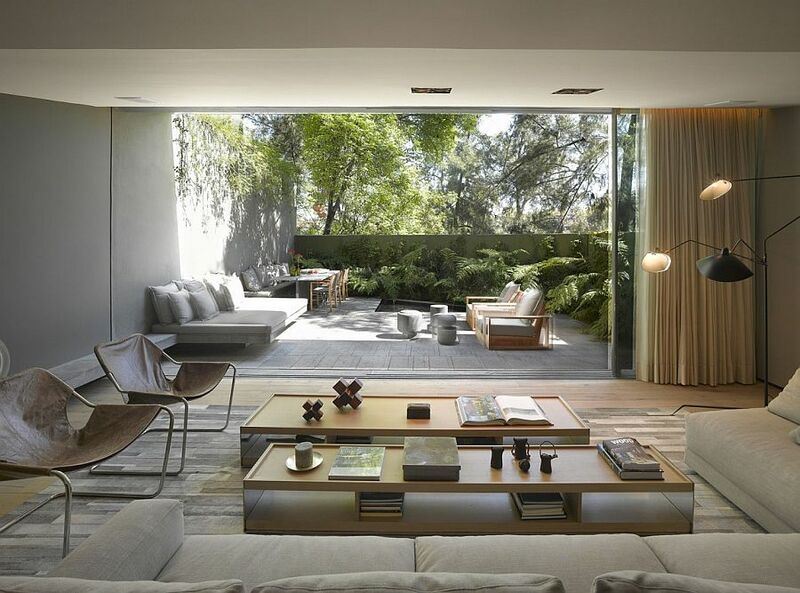 “Elegant” and “sophisticated” are typically not words used to describe 70s architecture, but the Barrancas House in Mexico City is an exception with its expansive, spa-like interior overlooking a soothing patio space. 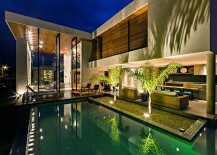 But the residence didn’t always look like this. 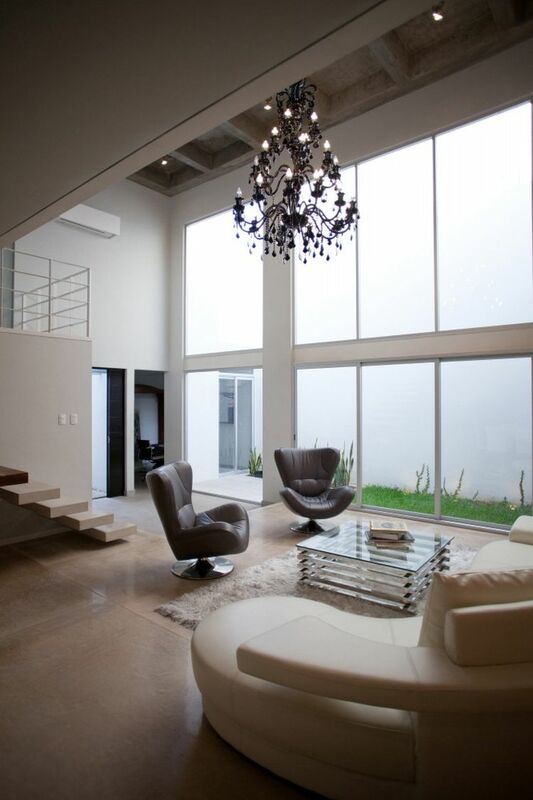 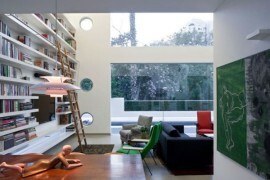 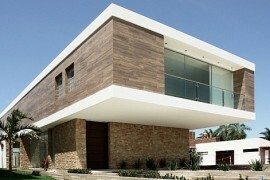 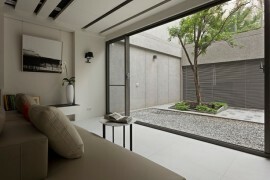 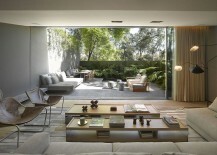 Its modern but tranquil aesthetic is actually the result of a brilliant renovation by Ezequiel Farca Architects. 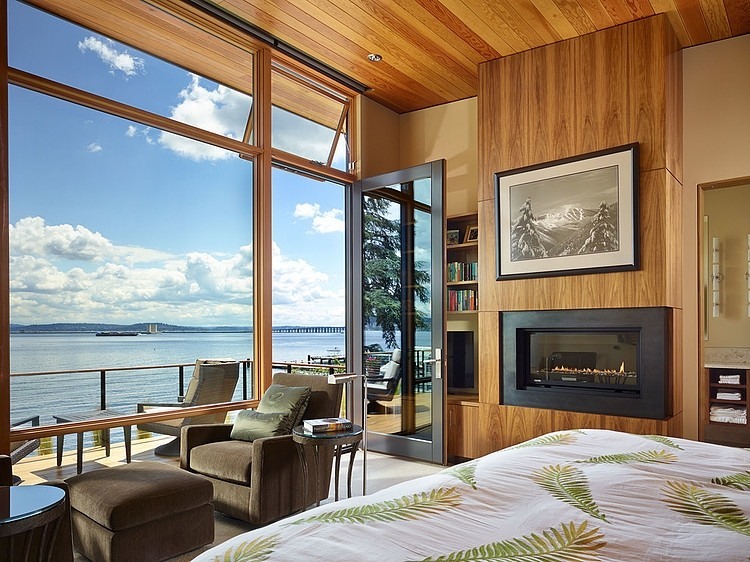 When you have a lake for a backyard, opaque walls are simply out of the question. 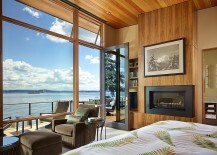 The Courtyard House in Seattle turns one of its facades into a life-size postcard with sliding over-sized glass doors. 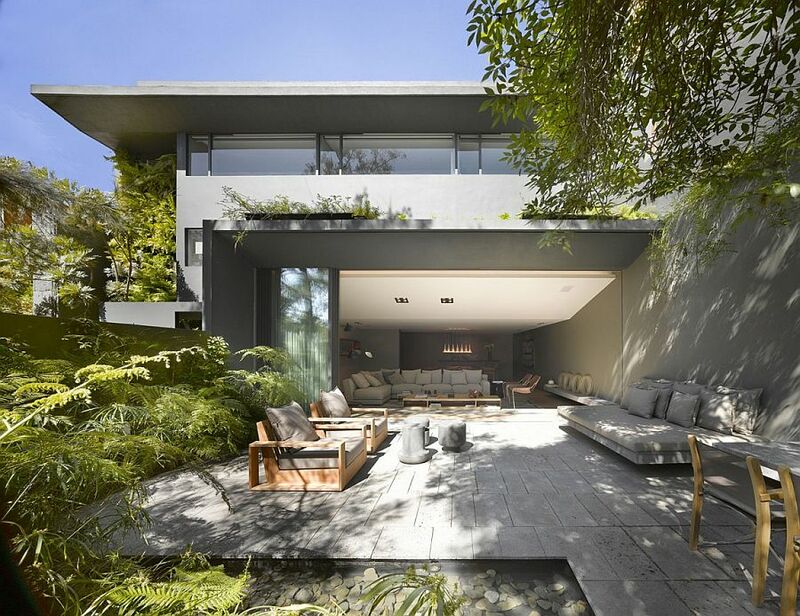 Which one of these amazing courtyards would you want attached to your home?